Lovely studio with a breathtaking view of the Lagoa da Conceição (Lagoon), the postal card of Florianópolis. Its privileged location lies within walking distance between the popular beaches Joaquina and Mole, at the east coast of the island. * One is a neat apartment for 2 people or couple with an open division between the bedroom and kitchen. 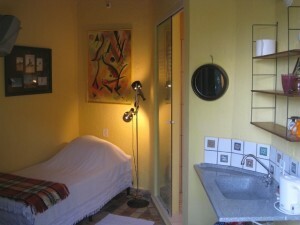 Private toilet with shower and a charming terrace with view on the Lagoon. TV, CD-player and fridge. 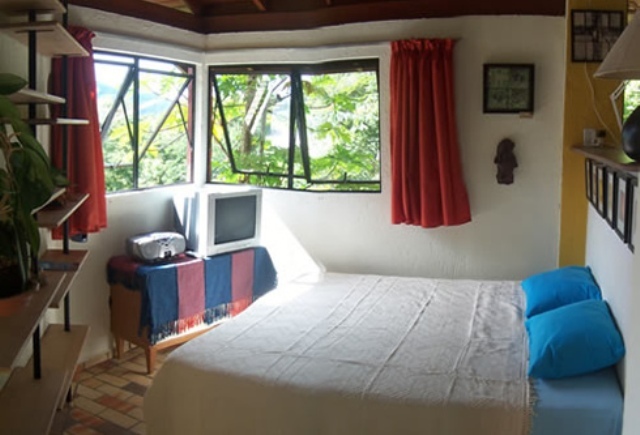 * The other one is a small single room with a sink, private toilet and shower, and a terrace where you can enjoy your breakfast while looking onto the Lagoon. TV and Radio/CD-player. Private trail through our woods to Atlantic Ocean! 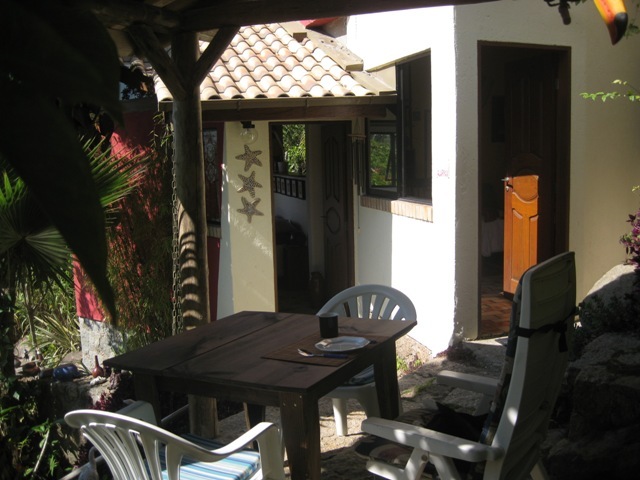 We are Dieter and Annemarie, a Swiss-Dutch couple, who have lived for many years in Brazil and speak English, Nederlands, Deutsch, Português and some Español.